Внимание! Статья на английском языке. В конце статьи есть обсерватория в СПБ, Пулково. We’ve documented a wealth of derelict radar stations and forgotten scientific research installations on this blog so far, but to date, other than the odd isolated example, we haven’t explored abandoned observatories. For that reason, we decided it was high time to examine some of the most impressive and interesting examples of forgotten astronomical institutions that the planet has to offer. Following in the footsteps of io9 and WebUrbanist, here are 13 abandoned observatories from the plains of Patagonia to the mountains of Eurasia and beyond. It’s hard to believe that the Warner and Swasey observatory is nearly a century old. Once the focal point of astronomy in Cleveland, the 1919 building for decades towered over the surrounding town, a beacon of scientific progressivism that could be seen for miles. Yet even back at the end of World War One, it’s equipment was already somewhat out of date. The 9.5 inch refracting telescope installed on the roof had first been constructed in 1894. Despite its slight backwardness, the observatory made game efforts to keep up with the times. A 24-inch, and then a 36-inch telescope were installed over the decades, allowing important work into such wonders as M-type and carbon stars to be performed. Yet, the old Warner & Swasey observatory was always living on borrowed time. As the US population increased, and more and more houses sprung up, things eventually got too bright. By 1950, the stars could no longer be clearly seen from the observatory, smothered by the city’s light pollution. 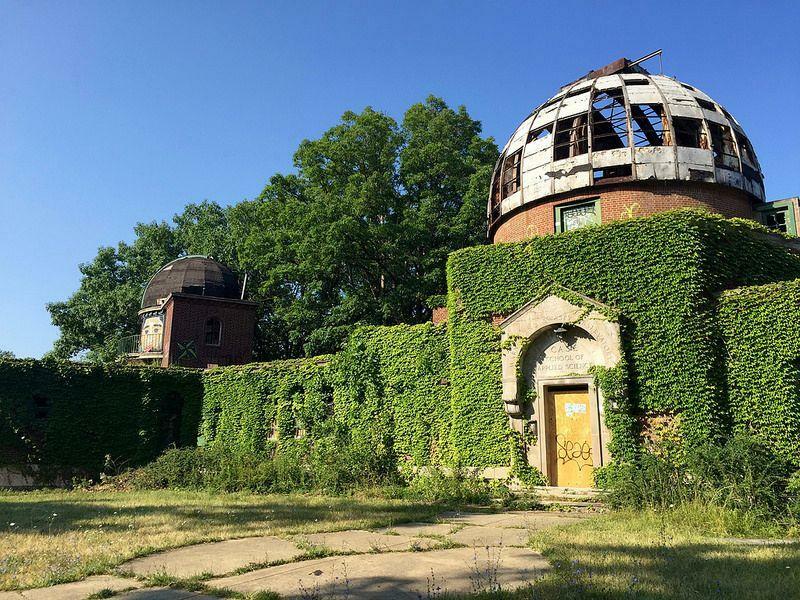 While it stayed open for another 33 years, the now abandoned observatory’s fate was sealed. By 1983, it had closed for good. Established in 1960, the neglected Félix Aguilar Observatory cuts a lonely form on the haunting landscape of Patagonia. It’s understood that this abandoned observatory remained operational for just a few years before closing down due to high running costs (exacerbated in part due to its remote location) and inclement weather conditions that made monitoring the night sky difficult. When photographer Doug Letterman trekked up to the structure, he found it to be conspicuously empty. Tiny Luxembourg City is so incredibly diminutive, it’s hard to believe anything could ever disappear here. 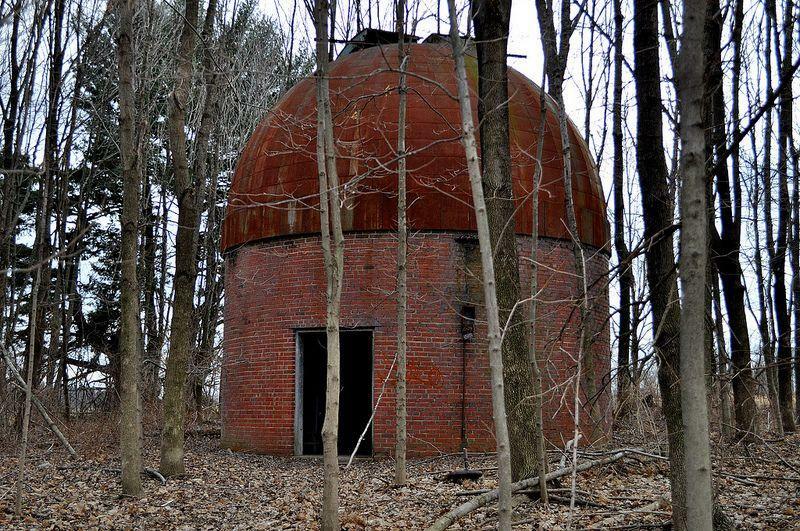 This abandoned observatory is a testament to how wrong-headed that notion is. Itself lost in the city’s small Pfaffenthal Quarter (population: under 2,000), the observatory hasn’t just been forgotten. As this picture shows, it’s fallen completely derelict. It’s hard looking at the photo to imagine exactly why this place might have fallen into such woeful disrepair. Creepers wind their way lazily across the metal roof, turning the whole building a brilliant, forlorn green. Tree branches seem to reach down for it, as if hoping to hoist the whole thing into the air and whisk it off into the depths of the forest. Broken metal, trailing wires, and traces of mould all contribute to a general air of neglect, as if this place hasn’t seen any humans for a very long time. Perhaps this isn’t surprising. As can be seen from this map, levels of light pollution in Luxembourg are such that the entire country seems bathed in a perpetual orange glow. In the vast expanse of Spain’s southern Andalucía region lies the Iberian peninsula’s greatest mountain range. The Sierra Nevada cuts across Spain like a serrated knife, carving through the country’s heart. Cold, forbidding, remote and beautiful, it’s exactly the sort of place you might expect to find some long-forgotten treasure. For those of us interested in urban exploration and modern ruins, that treasure could well be the the Mohon del Trigo observatory. Built in 1902, the observatory sits on a lonely outcrop of jagged mountain, a pale red streak against the endless blue skies. Once a place of cutting-edge technology, it was outmoded in almost no time at all by the relentless march of the 20th century. Rather than continuously trying to update the ageing equipment, the owners abandoned it. By the mid-1970s, the observatory was empty, left at the mercy of the brutal mountain winters. Today, the building has found a second life, of sorts, as a minor tourist icon, having been restored to its former glory (despite remaining empty). According to Atlas Obscura, it is now the subject of more photographs than the observatory itself ever took. There’s a reason many observatories are built in deserts or on mountaintops. The clear, often dry air is good not just for peering into the mysteries of the universe, but for keeping equipment in working order, too. But what do you do if you’re a keen astronomer living hundreds of miles from the nearest mountain? If you’re the owner of this observatory on the Illinois prairie, the answer is simple. You build your own observation station and leave it to the weather gods to sort the rest out. The work of the University of Illinois, the observatory was built to take advantage of a local dark sky site, on the very edge of Walnut Point State Park. It went into operation in 1969 with a massive 40-inch Cassegrain reflector on site, at a cost of nearly a quarter of a million dollars. Despite this considerable expense, though, the astronomical institution didn’t last long. Closed down a mere 12 years later, in 1981, it has stood empty ever since. Now little more than a ruined hulk, the abandoned observatory building today, and the telescope it once housed, are all but forgotten. The great Carpathian Mountains are one of Europe’s last true wildernesses. A savage world of soaring peaks, wandering rivers, and prowling packs of wolves and lynx, they arc through central and eastern Europe, stretching from the Czech Republic in the west to Romania in the east. On their way, they pass over the fringes of Ukraine, where our next forgotten observatory is found. Built in the days when this area was still part of Poland, it opened in 1938, only to permanently shut down less than a year later. On some level, this was probably a relief. The derelict observatory was so remote, so big, so expensive to operate that it was dubbed “Bialy Slon” (the white elephant). On another level, though, the cause of the astronomical facility’s abandonment couldn’t have been grimmer. Poland was overrun by Nazi troops, who turned the observatory into a garrison post. When they left, it was only so the Red Army could occupy it in turn. Finally abandoned for good at the conclusion to World War Two, the building has stood empty ever since; a grand, crumbling ruin, no longer even within the borders of the country that established it. Another derelict observatory, this time in the woods near Bloomington, Indiana. It’s understood from comments on the photo page that light pollution became a problem for this small astronomical facility after a shopping mall was built in the area. The abandoned observatory dome appears to be formed of an inner layer of timber covered by shingle tiles. At first glance, El Caracol observatory in Mexico elicits a “you gotta be kidding me” response. A modern observatory built from ancient stone and made to appear centuries old, it seems the height of tackiness; a naff way of cashing in on the 2012 craze for all things apocalyptic and Mayan. And then you take a closer look, and feel your mind go whirling off in wonder. This isn’t some new building made to look ancient. It is ancient. El Caracol was built in 906 AD. To look at pictures of it is to look back at the dawn of modern observatories. Everything about this old stone structure is unbelievable. Situated at the top of a Mayan pyramid, its windows were seemingly carved at intervals that would allow its owners to track the course of the planet Venus across the horizon. Raised above the canopy of the steaming rainforest, it would have given a then-unprecedented 360 degree view of the stars. For comparison, when the Mayans were building this wonder, the inhabitants of modern Britain were busy suffering Viking raids and fighting one another for control of Colchester. Welcome to the remains of one of the oldest observatories in our article. While the Ben Nevis observatory couldn’t hope to compete with El Caracol in Mexico, its origins still lie significantly further in the past than most others here. In 1881 the magnificently-bearded spiritualist and meteorologist, Clement Lindley Wragge, had gotten into the habit of ascending Ben Nevis every single day to take weather readings. Finding his data useful, the Scottish Meteorological Society decided to make a permanent base for monitoring the mountaintop. In 1883, the Ben Nevis observatory was born. For the next twenty years, the observatory became a mecca for weather readings, atmospheric studies, and all manner of other supremely useful things. While astronomy didn’t get much of a look in, various other experiments did. It was up here that CTR Wilson got the idea for his Nobel Prize-winning cloud chamber. Despite this, government funding was hard to secure. In 1904, it dried up altogether. The observatory shut down. Today, hardly anything remains to show it was ever even here. Traipse out in the direction of St Petersburg’s airport, and you may just stumble across a hidden urban gem. 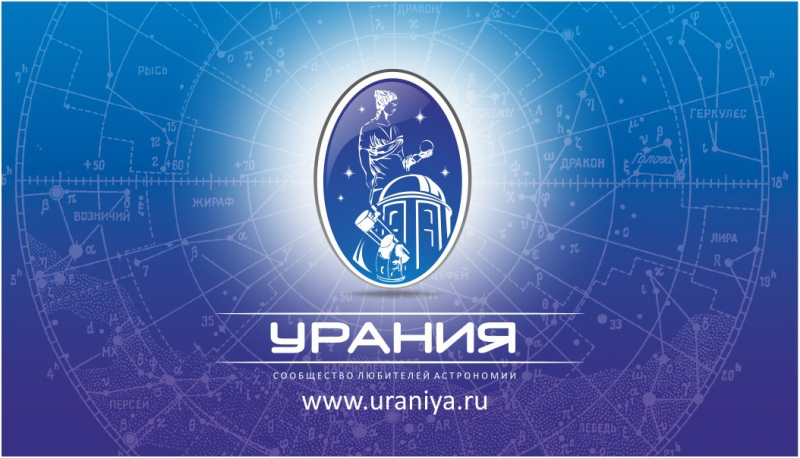 Inside an old 19th century scientific complex lies an almost unknown observatory, the Pulkovo. Once an important facility for astronomy in the city, it is today one of the more-obscure sights in St Petersburg. Not that that stops it from being a striking sight. A stocky, salmon-coloured cylinder, topped with a rusting metal dome, the observatory makes for a wonderfully picturesque ruin. Not that it necessarily is a ruin. While initially abandoned some time ago, there’s now evidence that the observatory is at least partially back in use. Owned by the Pulkovo Observatory museum complex, it seems to be slowly returning toward something resembling life, like a creature waking from a long and dreamless slumber. If any readers are currently based in Russia’s second city, please feel free to let us know the situation in the comments below. Next, we make our way to this gloriously abandoned ruin in the forests of Argyll and Bute, Scotland. Situated in the grounds of a former country house, the Ardmore Observatory was, like its counterpart at the top of Ben Nevis, a weather rather than an astronomical station. It’s also impressively old and venerable. Records of the tower date back to 1842, and it seems likely it was constructed at least a few years earlier. In other words, this derelict observatory may have gone up at a time when Queen Victoria had only just ascended the throne, Britain still controlled half the world, and even the telegraph was still just a gleam in Samuel Morse’s eye. As such, it’s fitting that the remains of the Ardmore tower are so utterly ruined. Seen today, the broken brick structure looks like the very definition of “ancient”. The walls are cracked and tumbling. Creepers have invaded every inch of space. The roof has vanished, the doors been taken away, and the whole thing seems only moments away from a terrifying collapse. While its days as an observatory may long be over, the ruined tower will endure for years to come. Located near the Lodge Moor area of Sheffield, the old Bole Hill Observatory was a popular landmark for those making their way out of town along narrow country lanes of the Mayfield Valley toward the Peak District. The astronomical facility was leased to the University of Sheffield for around 30 years, but hadn’t been used since 2009. According to the Sheffield Telegraph, the university now uses two domes in the centre of the city. The lease agreement reportedly stipulated that the land on which the observatory was built must be returned to its original condition once it was vacated. As a result, the abandoned Bole Hill Observatory was bulldozed in March 2011. Интересно, но перевод могли бы сделать. Да, странно что без перевода. Если не перевод, тогда просто ссылку дают.